The following chart prestents a comparison between basic parameters of the tested lens and other full frame 1.8/85 models. It is clear the Sony has as many elements as lenses produced by Canon and Nikkon and the Zeiss Batis, the most complex and most expensive instrument in this group, features as many as 11 elements. Small wonder - the Zeiss is also physically the biggest and the heaviest in this group. 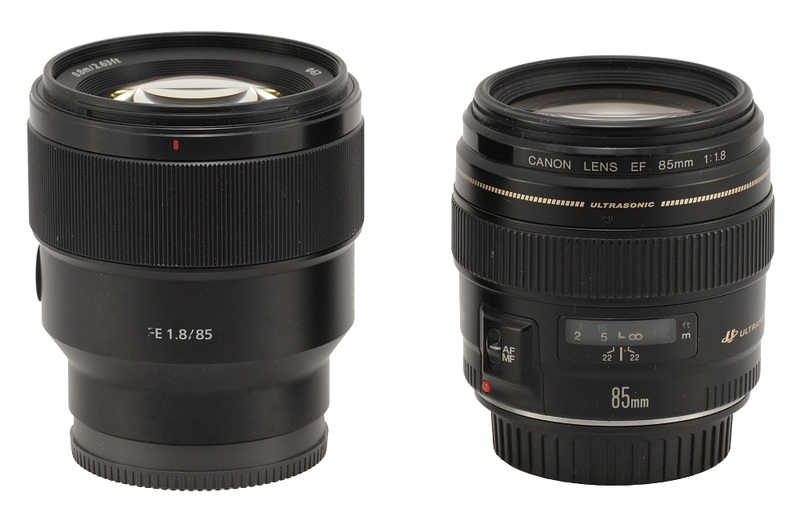 In the photo below the Sony FE 85 mm f/1.8 is positioned next to the Canon EF 85 mm f/1.8 USM. As you see, the Sony is a bit longer than the Canon. 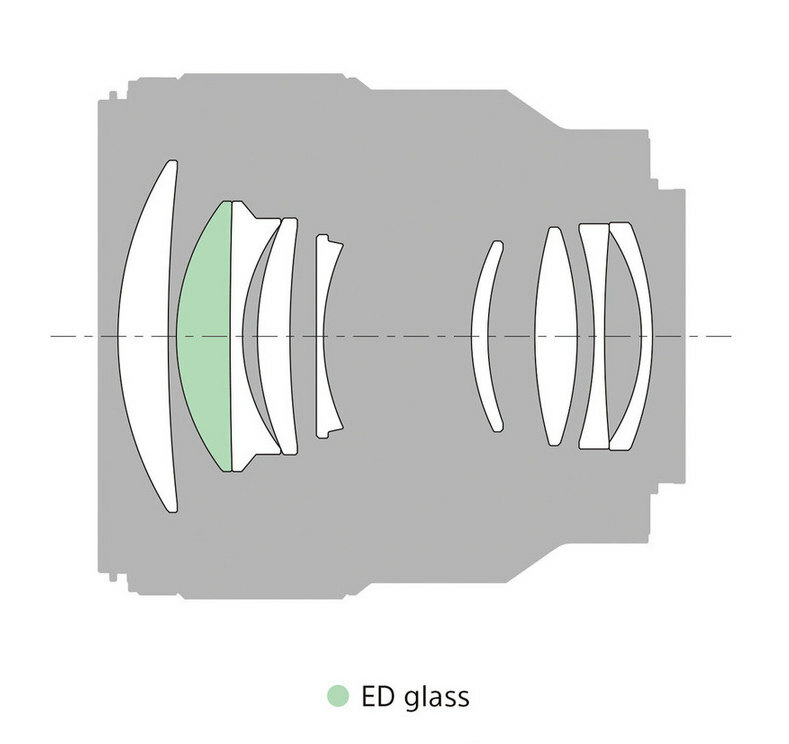 The tested lens starts with a metal mount which surrounds contacts and a rectangular 31x24 mm frame. Inside that frame there is an immobile rear element and the area around it is very nicely blackened and matted. From the side of the mount the lens seems to be sealed and properly secured. The barrel of the lens is made of black metal; it starts with a smooth, black ring which doesn't move. 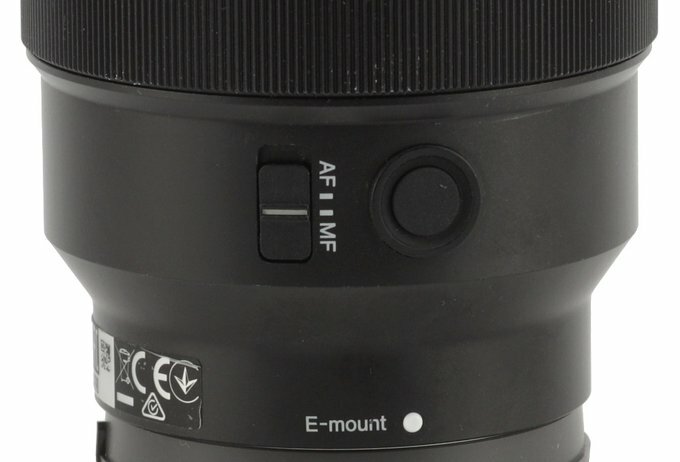 The ring features a white dot, making an alignment with a camera easier, the producer, lens, and the mount markings along with a serial number of the lens. Further on the ring increases its diameter and you can find an inscription with the parameters of the lens, the logo of the producer on its right and an AF/MF switch on the left with a function button. 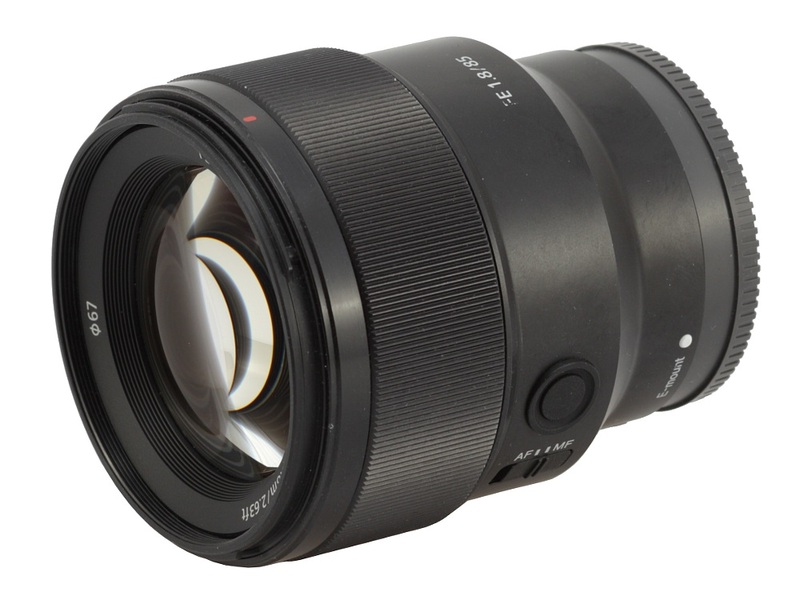 Then you see a manual focus ring, as wide as 25 mm. It is a focus-by-wire construction, devoid of any distance or depth of field scale. It moves smoothly and is well damped; running through the whole distance range needs a turn through an angle of about 180 degrees. 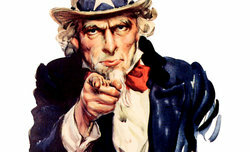 It is more than enough to ensure you comfortable settings. Further on you see a narrow, metal ring which turns into a hood mount. The front element doesn't move and is 50 mm in diameter. It is surrounded by an inscription with the name and parameters of the lens and a non-rotating filter thread, 67 mm in diameter. When it comes to optical construction you deal here with 9 elements positioned in 8 groups. 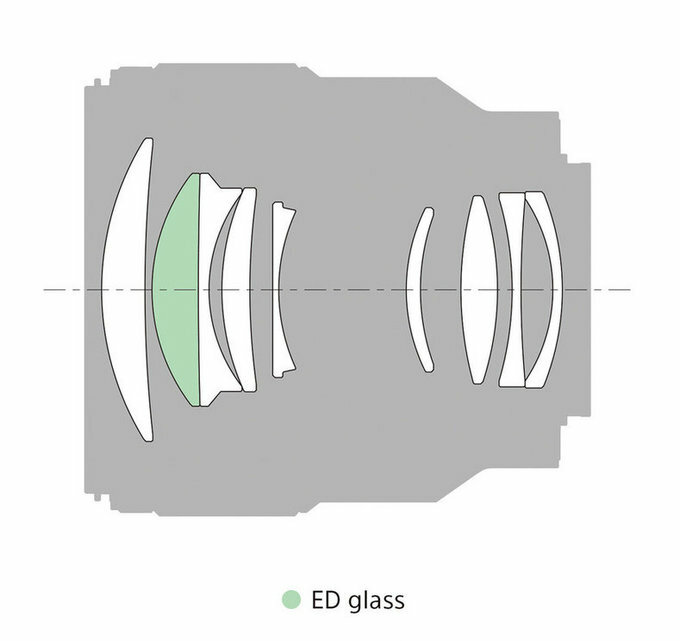 One of them was made of low dispersion ED glass. 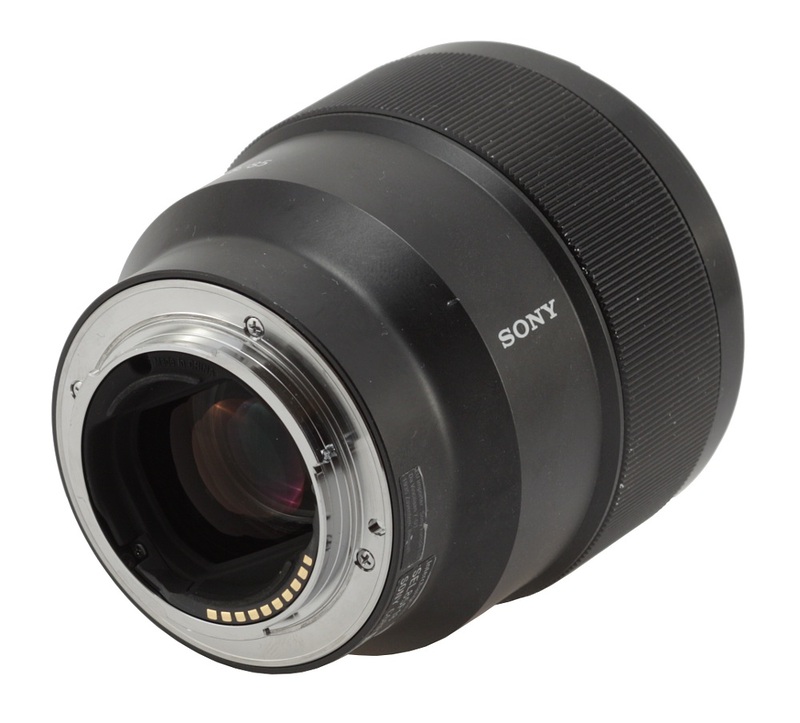 Inside you can also find a round aperture with nine diaphragm blades which can be closed down to a value of f/22 at the maximum. 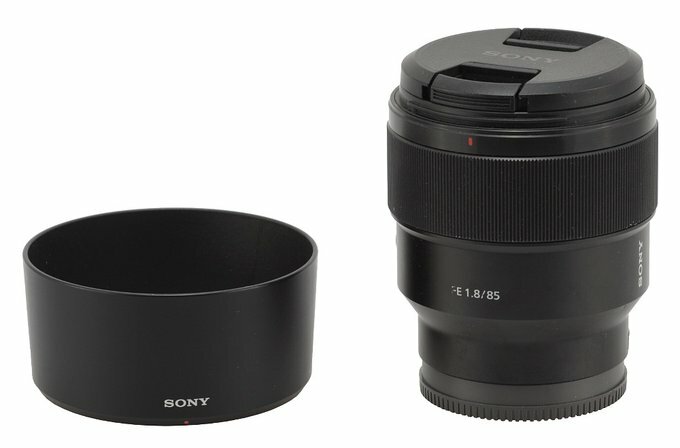 Buyers get both caps and a hood with the lens in the box.